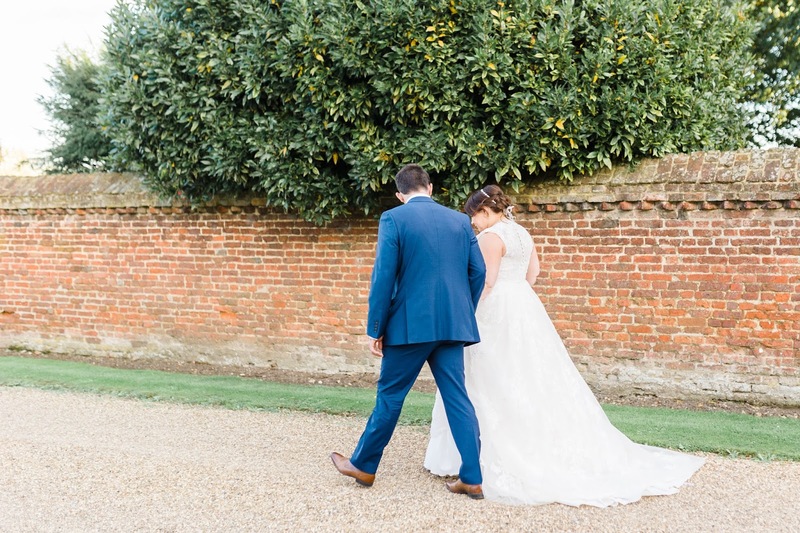 No matter how much you plan the time available before you have to leave for the venue, you’ll always be in a bit of a rush towards the end. I had three bridesmaids, two flower girls and two mums with me on the morning, all whom needed hair and makeup; although there were two hairdressers and two makeup artists to see to us all, before I knew it I was in the chair being rushed from one to the other because there wasn’t much time before we needed to be on our way. 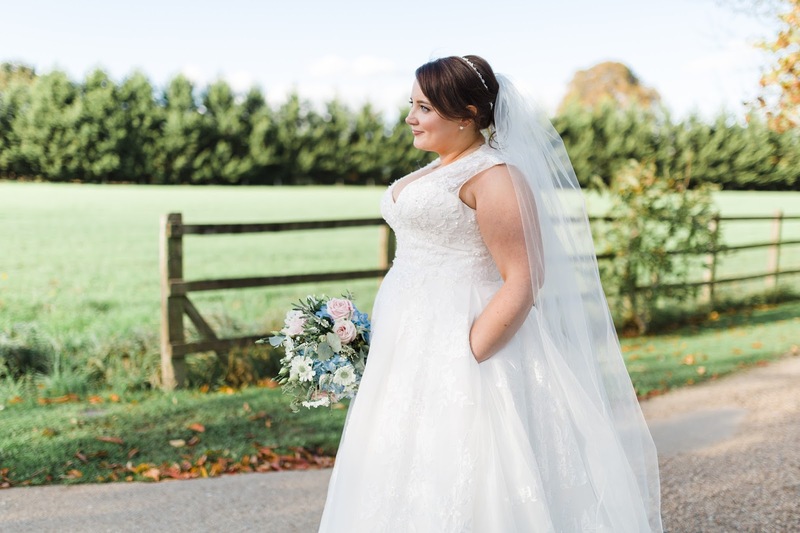 We started at 10am and I left the hotel at 1.15pm for a 2pm ceremony, but the last thirty minutes were all a blur of trying to get into my dress and leave on time so I didn’t get in trouble with the registrar. 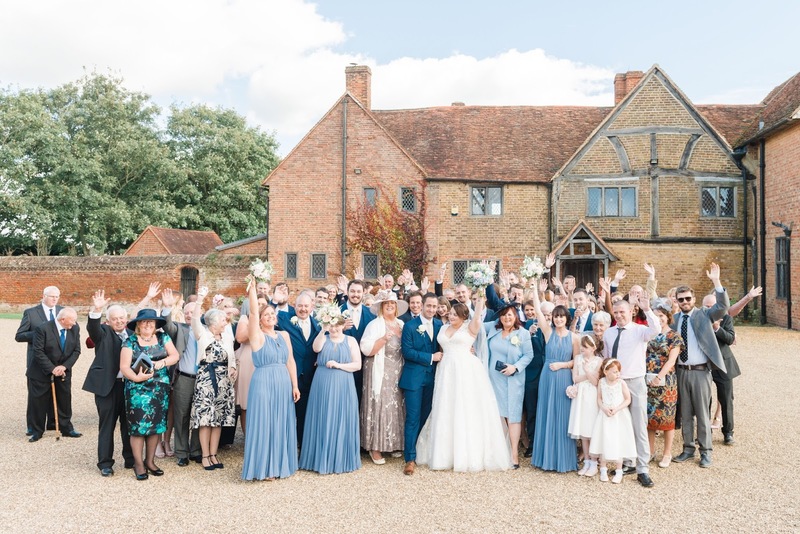 (Unlike in the movies, unless you’re having a really late service you absolutely need to be there at the time specified – they won’t hang about for you, as most need to be on their way to their next ceremony a matter of minutes after yours is over.) I almost forgot my veil and we literally grabbed our bouquets on the way out of the room, even though to start with we were super chilled and thought we had all the time in the world. It will fly by, so make sure you start as early as possible – even if it seems like a ridiculous amount of prepping time. I’m not really an emotional person and I’m definitely not one to cry, but I swear I spent most of my wedding day either in tears or trying to hold them back. Pretty much everything set me off: seeing my husband-to-be leaving from my hotel window, having a few moments to myself in the car on the way there, speaking to the registrar, waiting outside the ceremony room, and don’t even get me started on walking down the aisle. I don’t have any nice pictures of me walking in with my mum, because I was trying so hard not to blubber! Pretty much everything set me off, because every element of the day had meaning; I don’t know whether it’s the build-up, the realisation that this is the day you’ve been waiting for since you were a little girl, or just the sheer overwhelm of having everyone you love together in one place, but it’s surprisingly emotional from beginning to end. Make sure you’re wearing waterproof mascara, have a compact for touch-ups and don’t be afraid of your ugly cry face – you’re among friends! One of the strangest things about the wedding process for me was actually sitting down to choose our vows. You’re presented with a number of options from which to choose the most relevant and personal to you, as well as a number of readings if you wish to use them; we opted for the simplest and most basic vows because we felt like a pair of wallies even attempting most of them, but we both worried in advance about getting them right. I needn’t have, because you don’t even need to learn them – you literally repeat what the registrar tells you and follow their instructions as to what comes next. I was a bit anxious about meeting the registrar before or turning up and there being nobody to marry us, but if you’re getting married in an approved venue they take care of everything so you can literally arrive and get married. To be honest I can’t even remember what was said or much about this part of the day, as I was so anxious ahead of walking in, but afterwards you’re able to breathe a sigh of relief and start married life as you mean to go on. As a bit of a control freak I like to know exactly what’s happening, where and when. 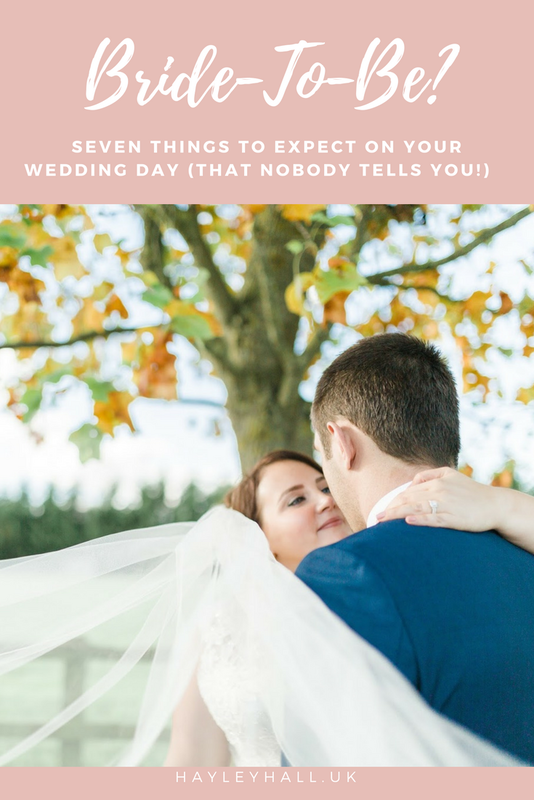 I’ve always got an itinerary to hand, but on your wedding day you have to trust that other people have got this covered. 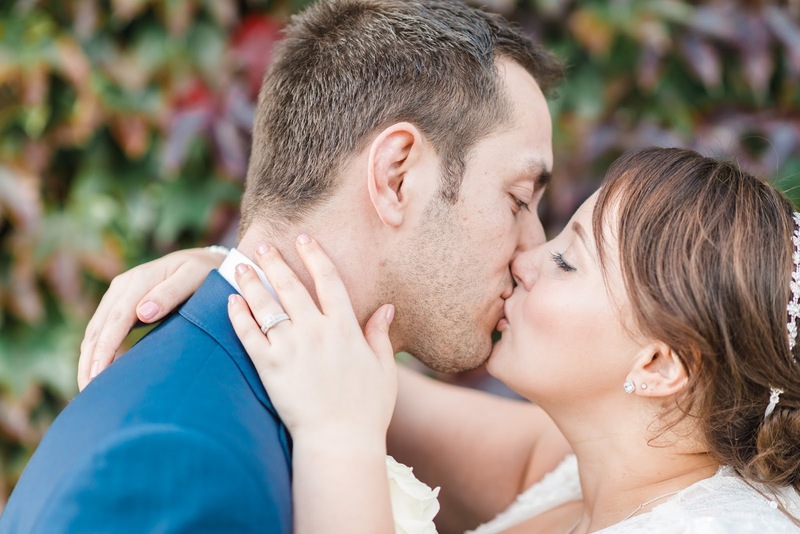 During the course of the day you’ll be whisked away from one place to the next either by your photographer or wedding manager (both seasoned professionals,) so you never have to worry about what’s going on. 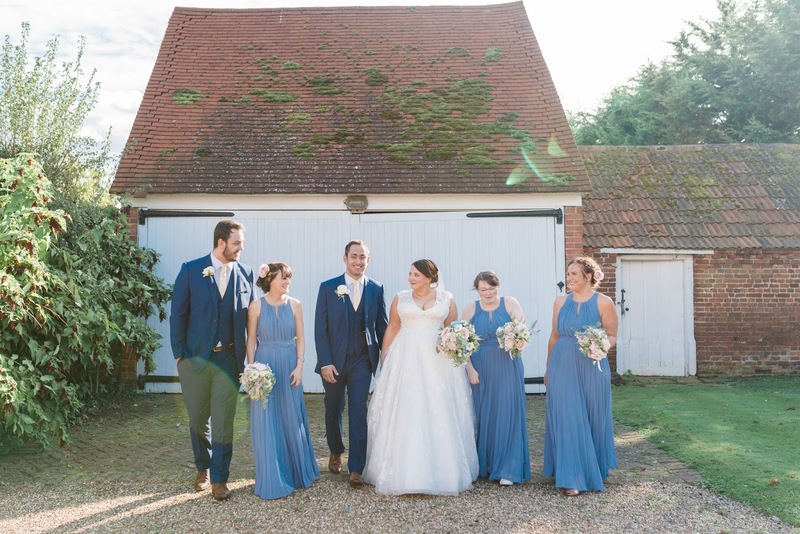 There’s always someone else in control so you can enjoy the day as much as possible, but it’s worth getting the bridesmaids or groomsmen to check everything is running smoothly and act as a go-between. (Mine were briefed before and told key timings, so they knew what to expect.) I didn’t wear a watch on my wedding day so had absolutely no idea what time it was, but I was always told where to be or what was coming next so I could just go with the flow. What I’m most gutted about is the fact I got minimal chance to actually eat the food we spent the best part of ten grand paying for! With Krispy Kreme donuts instead of canapes, pizza and chips for our main course and bacon baps in the evening, I honestly was looking forward to eating my way through them all – but I barely got a sniff. I managed to whip one of the last donuts when I escaped from the photocall off to have a wee, got through about two slices of pizza before I went off to mingle (my desert sat there for hours before it finally got cleared away – sob) and didn’t even see the evening food. Right at the end of the night I managed to sneak a piece of cake before we left, but that was about it. You’re so busy talking to people and having a great time that there’s simply little time to actually enjoy the food and drink you’ve paid for. Gutted. I’m so glad we kept back the top tier of our cake for ourselves and have been able to defrost slices every time a family member comes round to visit – something I’d definitely recommend doing yourself. Don’t worry about getting drunk either: you won’t finish a whole glass, I promise you! During this incredible day you’ll want to spend some time with your new husband or wife to take it all in, but there’s little opportunity to actually be alone – or even together. We sneaked away for ten minutes as everyone made their way in for dinner, just to have a chat and take some selfies, and I’m so glad we did. You’re constantly speaking to people or being pulled away to have photos, but it’s important to take a few minutes out alone to absorb the commitment you’ve just made. We both wanted to spend the evening having fun with our friends and enjoying the Busted tribute band we booked, and I’m so glad we actually spent this hour dancing together rather than mingling. You’ll never get that time back, so although Great Aunt Mildred would love to chat for an hour it’s ok to say a quick hello and go off to find your new spouse. A twelve hour day may seem like an age, but before you know it it’ll be time to say goodbye. When you’re planning the day it’s easy to think there’s too much of a gap and try to find ways to fill it (we spent such a long time creating a board game room and a pick n mix stand to keep people occupied!) but I guarantee people will be far too busy drinking, chatting or generally having fun to notice the hours flying by. It’s a cliche but totally true: you’ll blink and the day will be over, so make sure you absorb every moment possible and create memories with your loved ones that can be treasured for a lifetime. 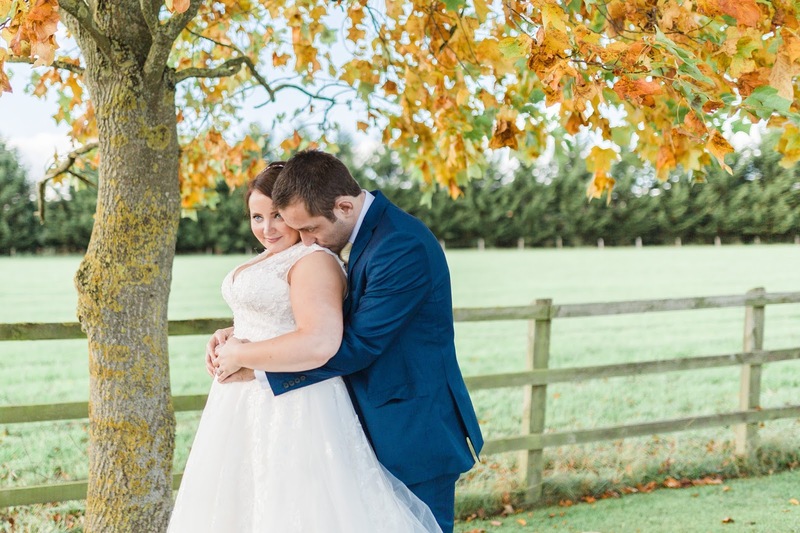 People laughed at me for having a dress with pockets, but it meant I could have my phone on me to take photos and videos of little moments throughout the day; some of those are as treasured as the professional photos we love so much. Before I had a chance to take it in, my dress was in a pile in the corner of our hotel suite and we were devouring a stack of pancakes for breakfast. Enjoy every second, because you (hopefully!) only get to do it once. Good luck to all the brides-to-be out there. Wishing you the best day ever. Haha! My flower girl ate 7 donuts, so Josh and I didn't even get one! And photos were so important to us – we got some great ones, although not all of them were what I wanted. I wish we'd briefed the photographer more in advance, rather than trusting her implicitly. Thank you! It's not what i thought I wanted, but I fell in love with it. 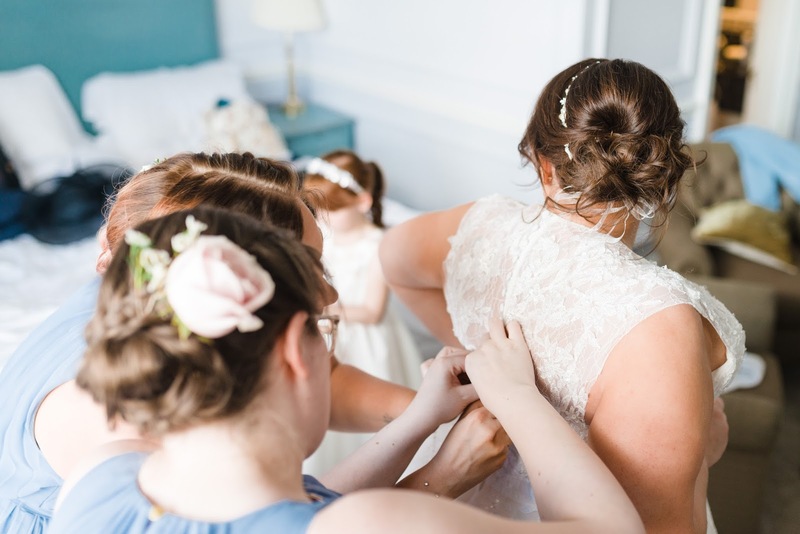 My flower girls were the same – they were more prepped than I was! 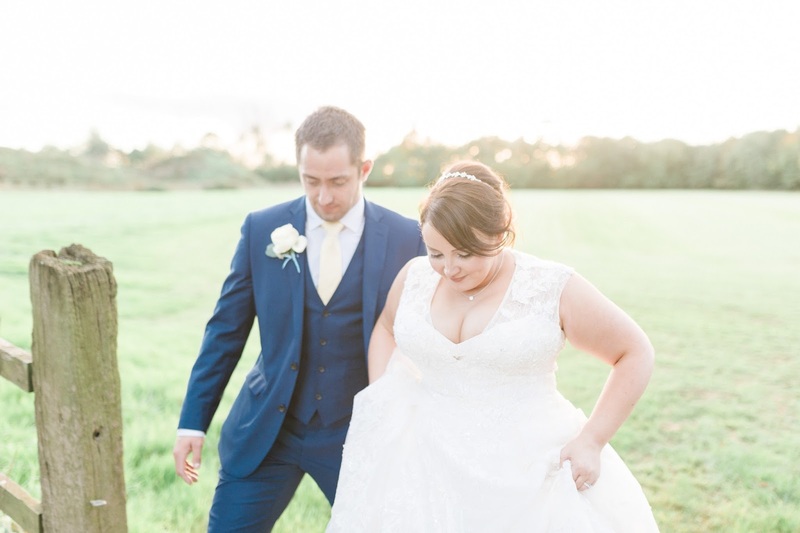 So… your wedding dress has pockets?! How cool is that! Haha yes! Best thing ever! Some great advice, thanks Hayley. I'm getting married in October and am planning on having some alone time with my new husband several times during the day (we're both introverts so we need some time away from people to recharge). Well, that's the plan anyway! We were debating a videographer, but it's just as expensive for a five minute video that you'll rarely watch vs a photographer for the whole day. We skipped it and instead just asked people to film the speeches; my friends created me a little video of all the best bits that I love, and that's more than enough. I wouldn't spend thousands on one, but instead just get people to film themselves – you can also hire a camcorder and film yourself, then sending it away to be professionally edited. It's a much more affordable option! Yes to the not getting to eat. I was lucky that we had quite a big gap between courses so I could say hello to people then and still eat the roast dinner we'd paid for, but I spent the half hour after the reception watching plates of canapes whizz past me whilst I was constantly getting pulled aside to chat or for pictures. In the end one of my bridesmaids made me up a plate and I scarfed that before we had our 'just us' photos. I hadn't wanted a receiving line initially (I thought they were really formal and boring) but it made me realise that actually it's not the worst idea because it means you get to say hello to everyone!